Home » Vacation on the Ski resorts in Georgia. » News from the Ski Resorts in Georgia » Tetnuldi, Georgia. 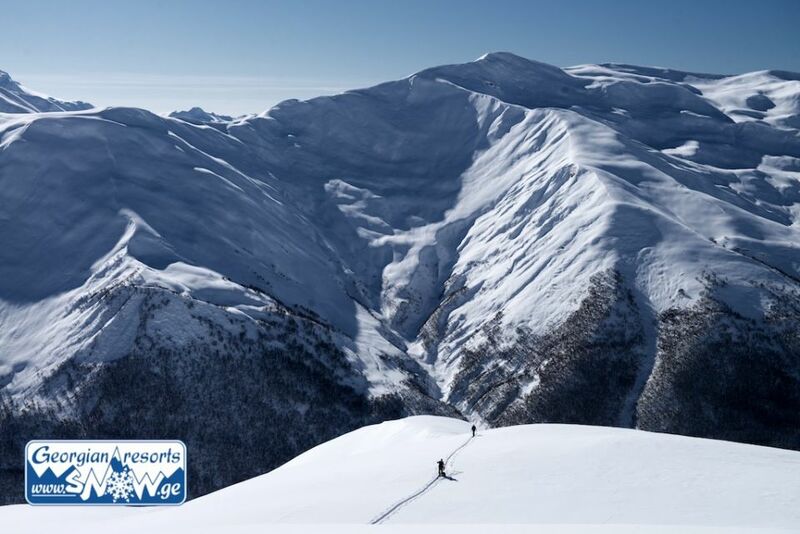 Review of the new ski resort in Svaneti. 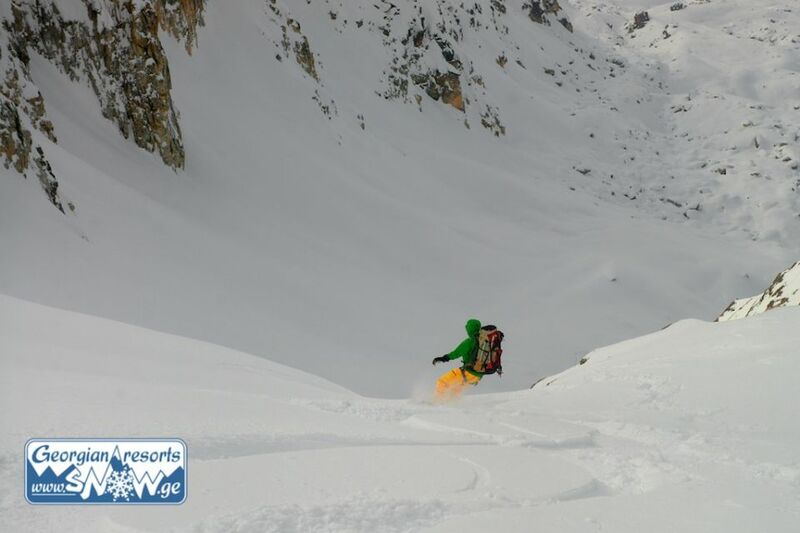 Three winters in a row, Marc Benoît flew from France to Svaneti for ski touring and helicopter-skiing with the company Flory Kern, and recently he attended a presentation of a new ski resort Tetnuldi in Mestia and he was impressed with opportunities of the new resort. 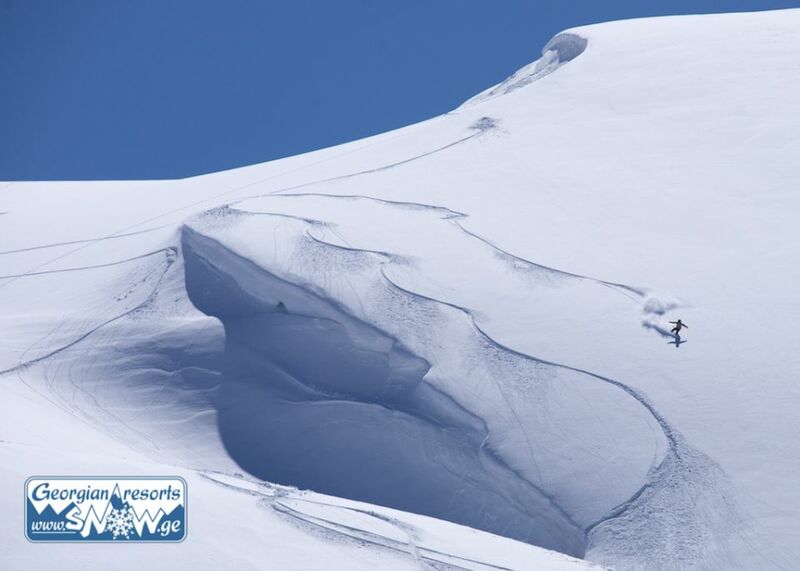 Here are emotions and thoughts of rider Marc Benoît from France, especially for SNOW.GE. 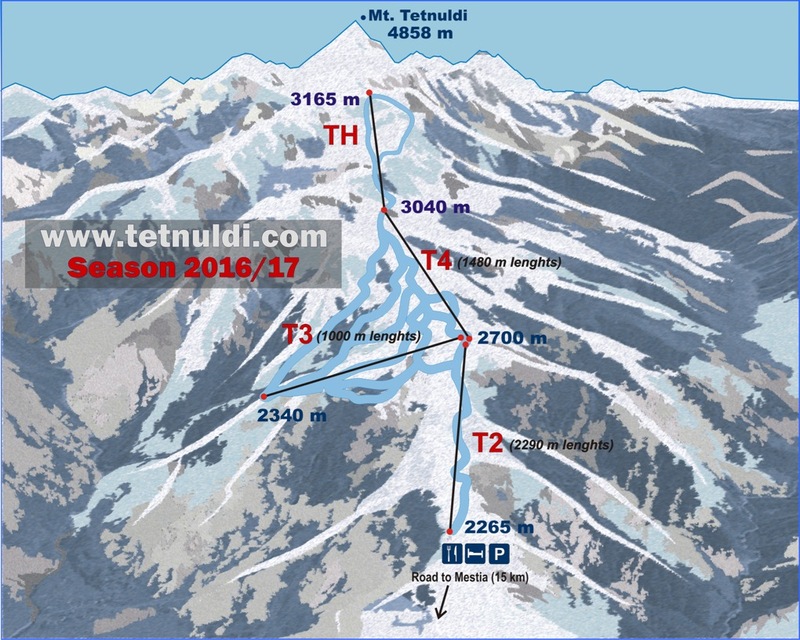 ... Tetnuldi – in one year here will be tens of thousands of skiers and boarders. Do you want to share with them your impressions when elbow to elbow will stand with them in line for the lift, or prefer to get your own experience, perhaps the most unique and unforgettable ski experience in your life? 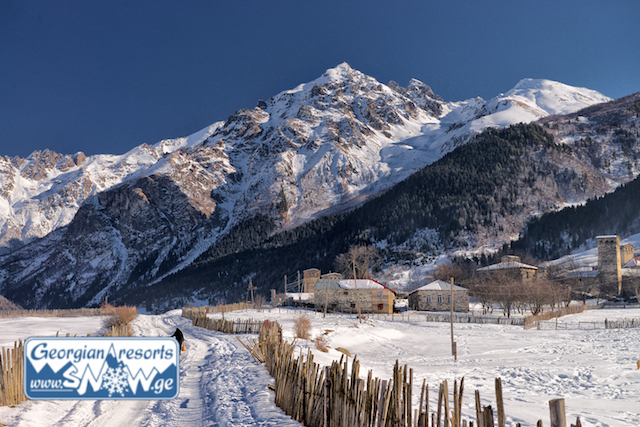 If you choose the second - you definitely need to visit the resort Tetnuldi this winter. It seems that new stars and galaxies in the sky are now open more frequently than new ski resorts on the planet. 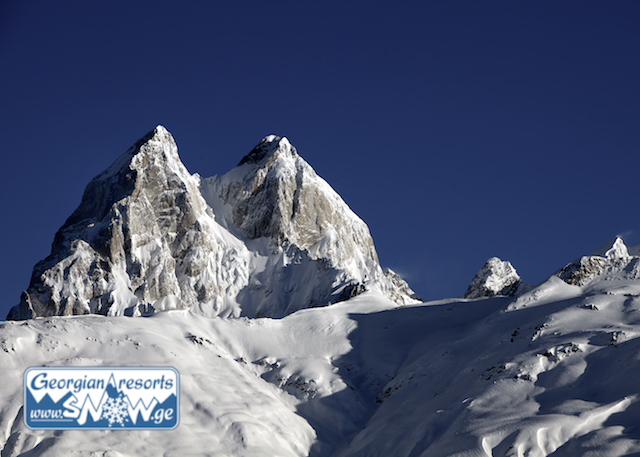 In recent years was announced opening of just four new ski resorts - in England, North America, Russia and South Korea. 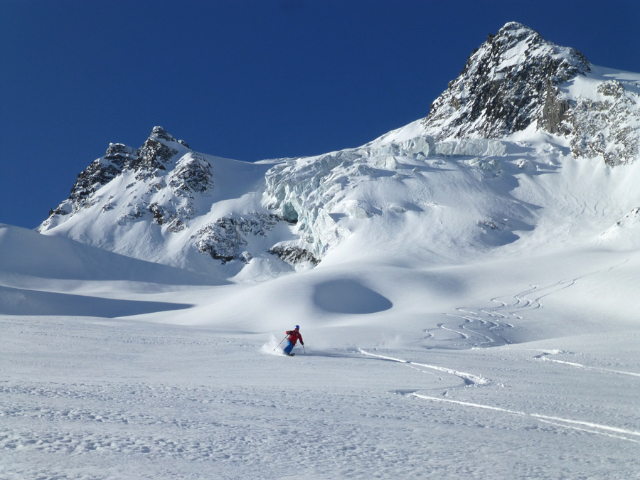 All other mountainous areas on the planet, suitable for this purpose, developed long ago - in Europe, for example, in the middle of the last century already worked almost all currently popular ski resorts. In a place where Big Caucasian ridge is the most impressive with height and magnificence of mountains, in the Georgian mountainous region of Svaneti, in the north-western slopes of Mount Tetnuldi surrounded by eternal glaciers, the company “Development of Tetnuldi, Ltd.” completes the construction of a new ski resort with the state money - for these purposes Georgia has allocated 40 million euro. Website of resort Tetnuldi declares the opening of the resort Tetnuldi already in December 2015. Tetnuldi - the new "Freeriding Mecca"
The title "Freeride Mecca in the Caucasus", which belonged in recent years to a former popular Georgian resort of Gudauri, in the coming years very soon will move to the new ski resort in Georgia - Tetnuldi. 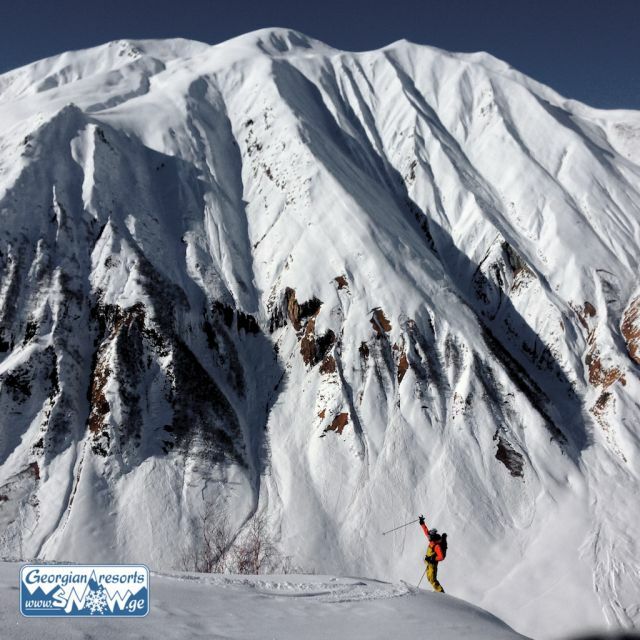 Gudauri received the title of "freeride Mecca" 7-10 years ago, in the beginning of second period of its development, when it was a lot of snow and less ropeways and people on the slopes of the resort. 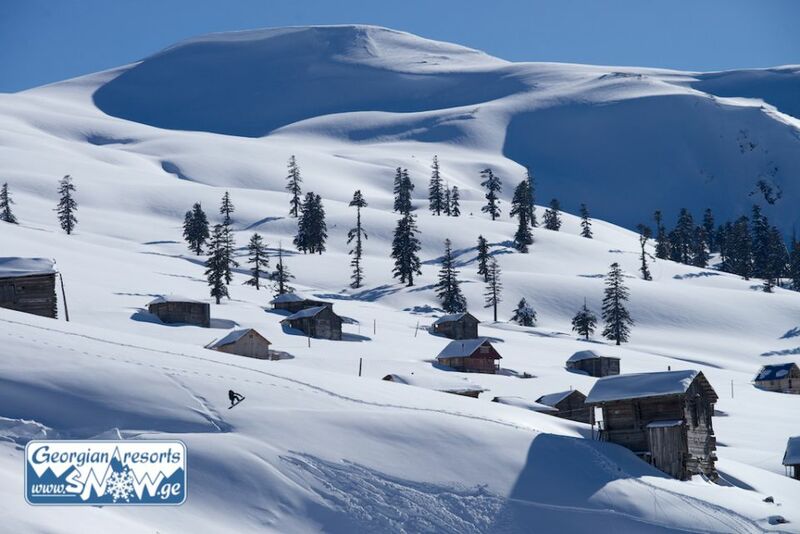 Until now, the area of Tetnuldi is deserted, wild area with really big mountains, yet little-known for wide range of skiers. 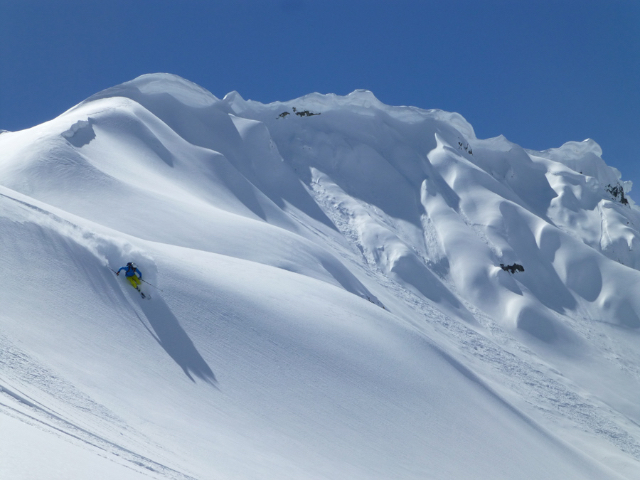 The number of skiers and snowboarders, who descended from these snowy slopes in recent years, can be counted on the fingers of two hands. And now here is opening the modern gate to the 3-km altitude - French cable cars «POMA». I spoke with the French, who investigated the slopes of the resort during two years - they are impressed with the properties of snow crystals on these northern and north-western slopes of Tetnuldi - their structure and quality in May here in Tetnuldi is better for riding than the quality and structure of the January snow in the Alps. 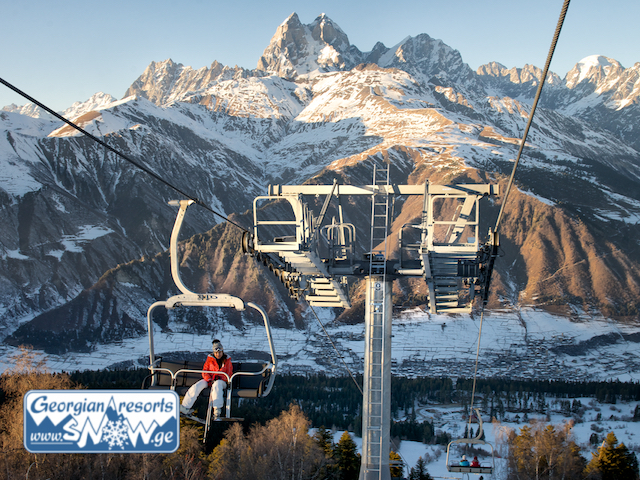 This year should be completed the construction of the first phase, will be launched 3 new ropeways, 25 kilometres of prepared skiing tracks can simultaneously serve 4100 visitors. It is obvious that the ability to ride in Tetnuldi 7 months of the year (from November to May), interesting and varied terrain, the huge ski area (4500 ha = 4.5 million square meters), less promoted, and thus less busy pistes and slopes in the first years of work and a general feeling of big mountains will attract freeride lovers to this region. Mountains of Georgia for a long time remained "Terra Incognita" in the closed USSR and then after its collapse and the long and painful period of adjustment and self-determination of Georgia. Mass tourism began to develop in the country only 10 years ago. The most unexplored and closed part of Georgia long time has been an Upper Svaneti - Northwest unique mountain region, which did not fall under the power of the princes in the Middle Ages because of free disposition of the proud Svans inhabiting it and, for this reason, is also called Free. 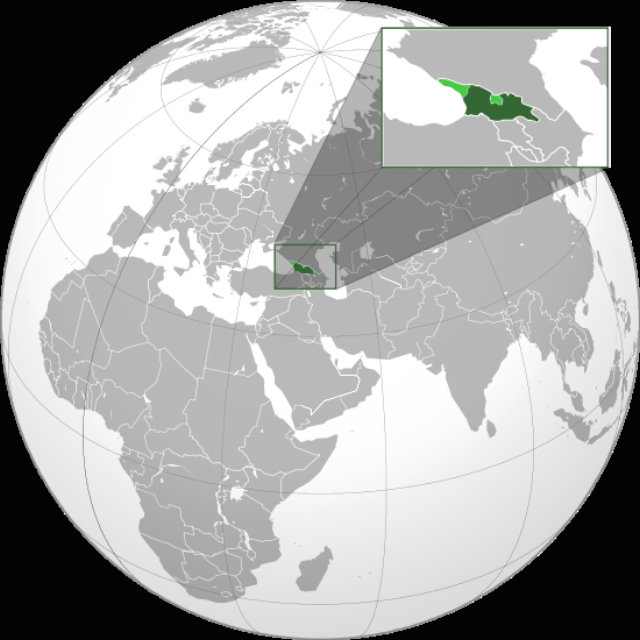 Because of its remoteness, in Soviet times Svaneti was influenced by communists to a lesser extent than other regions of Georgia. 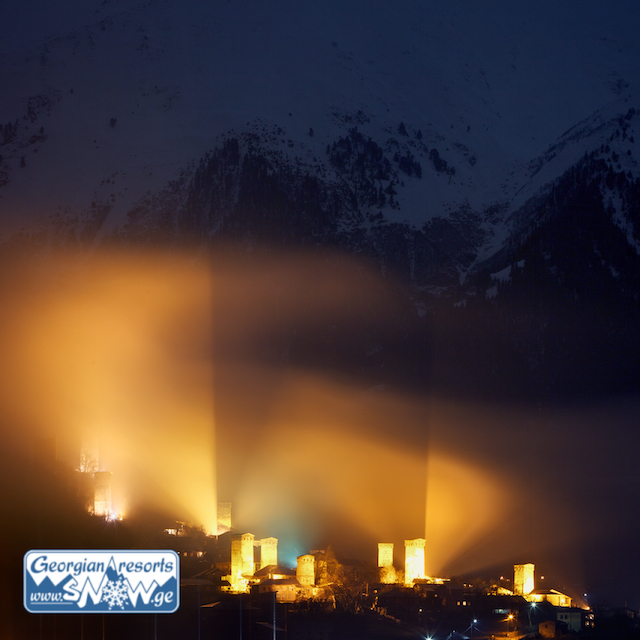 Free Svaneti reached our time with the more traditional way of life and well-preserved ancient traditions. The first traveller from the "mainland", American William Osgood Field, appeared in Svaneti only in 1929, and Georgia travel guides of Bradt, well known guides publication, as far back as in 2004 did not advise tourists to visit Svaneti as an unsafe area with bad roads, poor infrastructure and the possibility of robberies on the roads. In 2005, all unfavorable factors for tourism have been eliminated, a new road was built from Zugdidi to Mestia, thousand-year ancient Svan towers and ages-old Orthodox Shrine were put on the UNESCO World Heritage List. 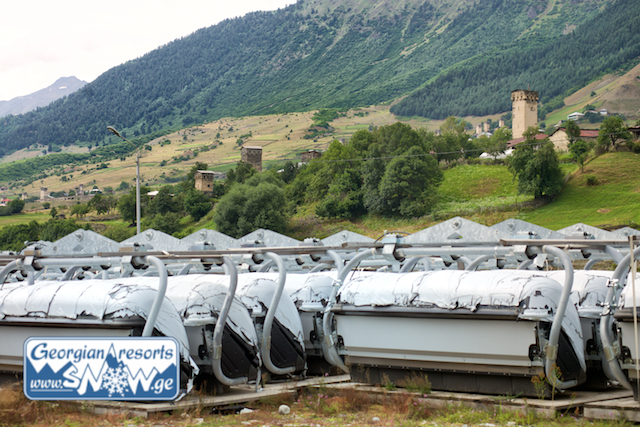 After a fifteen-year hiatus in the summer time caravans of tourists pulled to Svaneti, their growth during last 7 years has increased by more than 1000%. 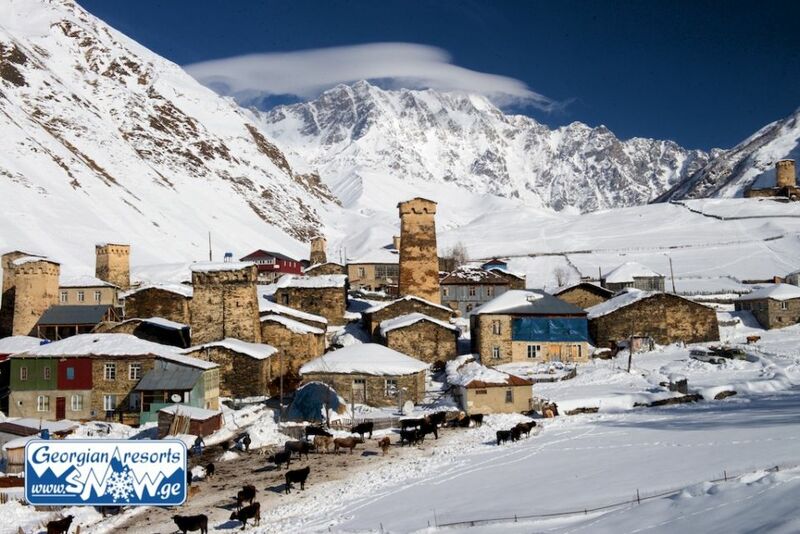 Svaneti unlocks the whole power of the mountainous Caucasus - there dominate the principal peaks of the Caucasus, along with the largest glaciers, the ice cap crowning him. Significant peaks among them: Shkhara (5058 m.), Janga (5060 m.), Gistola (4860 m.), Tetnuldi (4858 m.), Ushba (4700 m.), Tikhtingen (4620 m.), Tsurungala (4220 m.) Ailama (4550 m.). 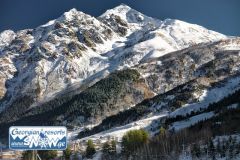 Mount Ushba in Svaneti - the height of 4700 meters above sea level. 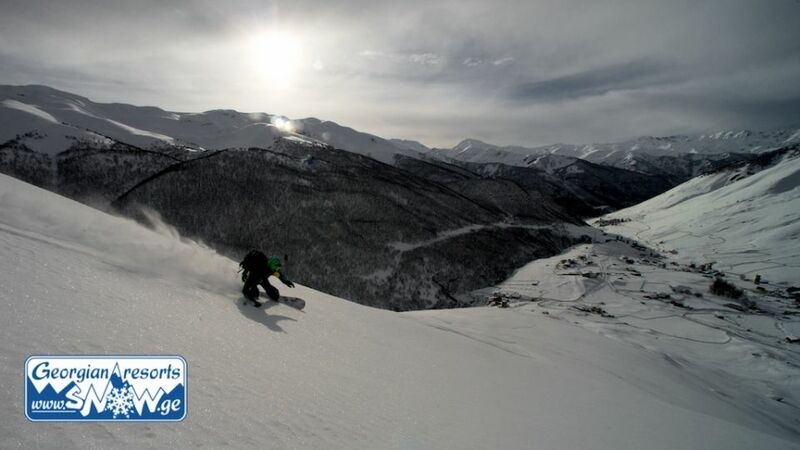 Ski vacation in Svaneti - is not only skiing, but also a real journey. The emotions, for which sometimes we have to go to the ends of the earth, are nearby. There could be shot "Game of Thrones" without scenery and computer graphics - so unique is local architecture and flavour of these places. 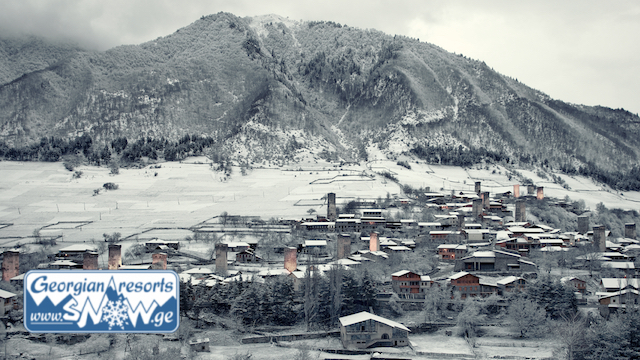 Now imagine a modern ski resort nearby - number of cable cars, ski resort infrastructure, restaurants. Tetnuldi is a mixture of these two concepts - the absolute authenticity of the place and the modern design technology of the ski resort in one glass. Rest in Tetnuldi - travel beyond the usual level of our consciousness and transcendental experience, a dream for the discerning travellers and experienced riders. In other words, tourist resort Tetnuldi is now like Thailand 30 years ago or Indian Goa in hippie era of 70-80-ies of the last century. Why a trip to Svaneti and skiing in Tetnuldi will impress? Because it is a real Klondike of snow and new experiences, which still is not open up by other "hunters" of snow and emotions. 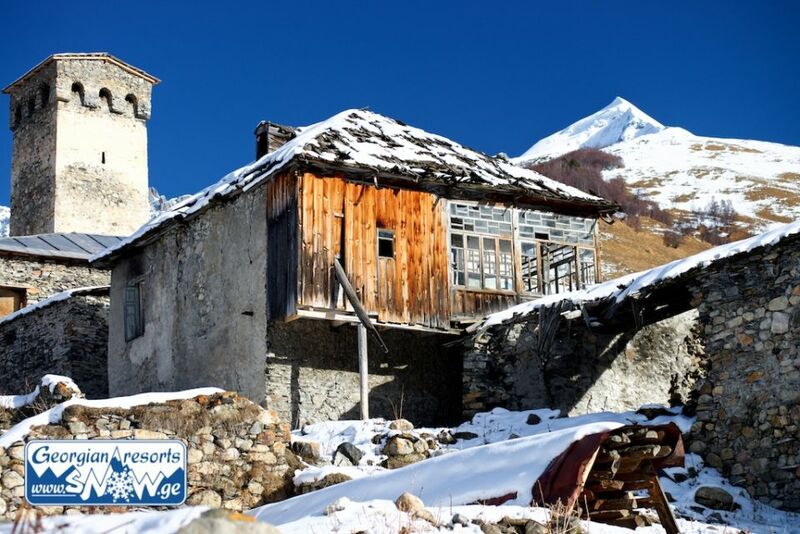 If Jack London would have lived today, he undoubtedly would have written about the pioneers of winter Svaneti, especially because in some remote villages locals still continue extracting of gold in the mountainous rivers. What can disappoint in Tetnuldi if you are sophisticated traveller experienced in comfort standards? In the early years here will not be much choice in the ski rental agencies and services, here will be difficult to find certified instructors who could teach to ride if you still do not know how, yet no one with whom you can leave your children, if you travel with them and they still cannot accompany you on a slope. But if you resolve this issue - they envy you in the future, because it looks like you leave the first line under the cable car in the history of the resort Tetnuldi. People here speaks the language, about existence of which Google even did not hear, just because this language has no script, but everybody here speaks English a little bit and speaks good Russian. From the first day you will have here friends with whom you will communicate the rest of your life, because here still left the concept of true friendship. Here you will be happy to communicate with Swans - mountaineers who inhabit this region. Svans will meet you, give drink, food, help in everything and then let you go home for a while. Be sure, you will come back here again. 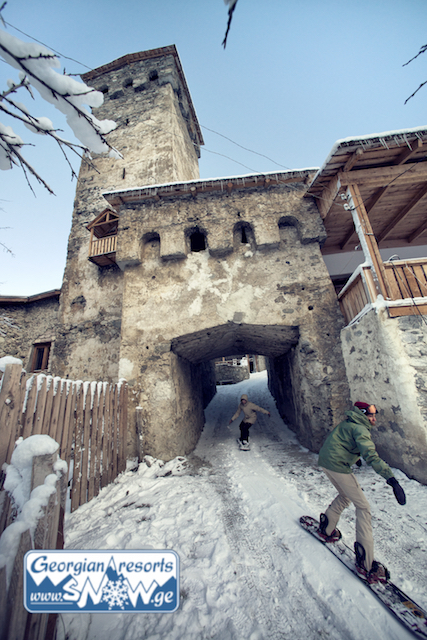 Another factor that may discourage the early days in Svaneti - is a different flow of time here. In the beginning you will often throw a glance at the clock, trying to be somewhere in time, trying to follow a kind of schedule or routine. All in vain - there is no schedule, except for on-time cable car. At first, you'll even get angry at the slowness and sluggishness of Svans, but later - to your vanity that prevented you to enjoy your stay in Svaneti from the first minute. 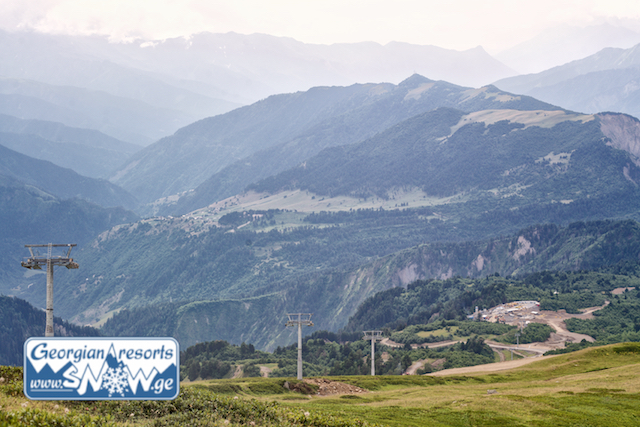 In short, if you do not expect from a holiday in Tetnuldi spa services, a European hotel service, high hotel standards, a trip to Svaneti will be amazing in its beauty and impression of travelling. And that is important - all this is worth more than the money you spend. 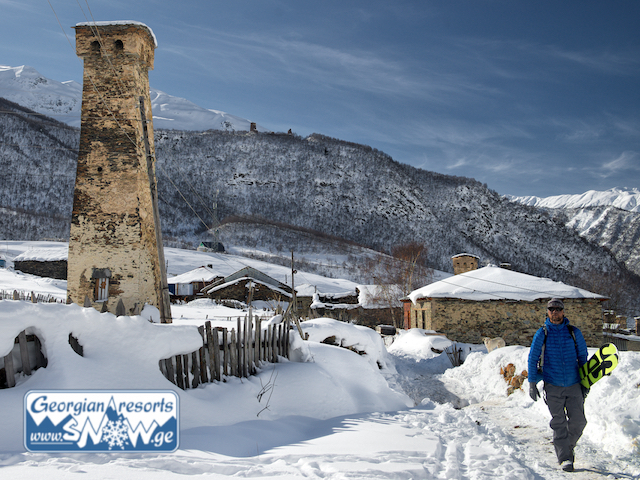 Travel to Svaneti in winter - a fertile ground for all sorts of bloggers and photographers. Their first reports about Tetnuldi will blow up internet, YouTube, and their friends just will envy. Not to mention that after riding in Tetnuldi everyone will feel himself like a real cool traveller and Big Mountain Rider and will no longer be able to ride on the boring slopes. After return home and showing pictures to friends and family, you will be drinking brought Chacha, brandy Sarajishvili or donated wine, and be sure, you will say pointedly, with meaning - "Yeah, this is Georgia, baby!". See you at the opening of Tetnuldi!